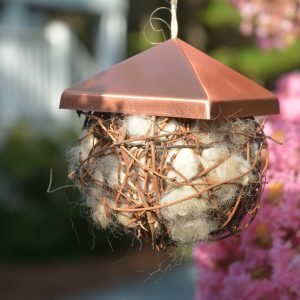 Alpaca for your home, why not for our feathered friends? We noticed how the birds took the bits of fiber lying around after shearing the alpacas. They would incorporate the fleece into their nests. How ingenious! Birds are such little engineers! Hence, the Alpaca Nest Assist concept was created. Who knows, the squirrels might catch on too!